Dr. James J. Clanahan is a breast surgeon with Lincoln Surgical Associates. Dr. Clanahan was born in Southern Illinois and has been a part of Lincoln Surgical Associates since he completed his surgical training at Washington University School of Medicine. 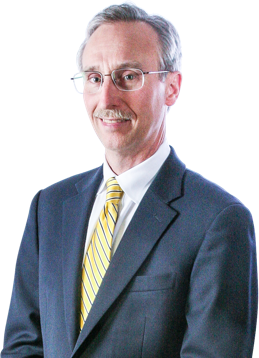 He is on staff at both Memorial Hospital and Saint Elizabeth’s Hospital and has held many leadership positions during his career of more than 25 years in private practice. Currently, he is president of Lincoln Surgical Associates and medical director of the Breast Health Center at Memorial Hospital. In addition, he is the chairman of Surgical Services Executive Committee at Memorial Hospital and serves on the board of directors at St. Elizabeth's Hospital. Throughout his career, Dr. Clanahan has helped to educate young physicians through clinical faculty positions with Saint Louis University and Southern Illinois University. Dr. Clanahan is a member of the Alpha Omega Alpha medical honor society. In 2010, he was honored by his medical colleagues with the Matthew B. Eisele, MD, award, recognizing him as a physician of excellence. Dr. Clanahan enjoys his role as husband and father of three children. His many hobbies include performing as a jazz pianist and running. Learn more or schedule a consultation with Dr. Clanahan today!